DL & Associates has performed thousands of QuickBooks data conversions, all with zero downtime. Convert Maxwell to QuickBooks is not the easiest do-it-yourself project for businesses to handle. DL & Associates have trusted engineers and programmers who have over 15+ years of software and data analysis experience, plus over 25+ years of QuickBooks experience. With this experience, when we import your data into QuickBooks, it is set up properly from the start. An implementation from one software to another will never be an overnight task, since there are many factors that need to be taken into consideration: Customer List, Vendor List, Inventory List, Costs, Average costs, Chart of Accounts, Accounts Receivable, etc. It is important to have a trusted team assist you and your business with converting your financial data from an ERP system. DL & Associates has over 25 years of implementation and service start-up experience. 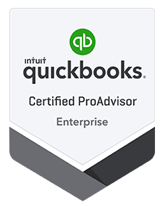 The team of engineers, programmers, and QuickBooks ProAdvisors work side-by-side with each business to convert Maxwell to QuickBooks software with ease. Host a meeting and determine what products are needed. Pull data reports (AR, AP, P&L, Balance Sheets, Payroll, GL, Assemblies). Completed live or through a webinar with a QuickBooks Expert. Review financials and any balance out additional data or reports. Provide ongoing monthly and quarterly closing services. We moved over to QB Enterprise in August. Being QB illiterate, DL & Associates made the transition easy for us. Any issues were addressed immediately and corrected. I would highly recommend David and his group. Jack Forbes, Elgin Key & Lock Co., Inc.
We are so impressed with David and his team and the fine Quickbooks solutions that they provide. They are responsive, efficient and effective. The Consolidated Picklist add-on program has been a wonderful enhancement to our process. We look forward to being able to partner with David on the development of further solutions. We used DL & Associates service to transition all of our veterinary clinics to QuickBooks Enterprise, Intuit Payroll and TSheets. Previously, all of our clinics were running on separate bookkeeping and payroll systems. It was very time consuming to run payroll and keep track of bookkeeping for each individual clinic. My goal was to streamline the bookkeeping and payroll for all of our veterinary clinics. With these software solutions, ten to twelve hours per month of duplicating bookkeeping and payroll data entries are eliminated. Our business processes are more streamlined than ever before. The team at DL & Associates has been extremely helpful through this process. Their response times are very quick and they are able to help us with any questions or problems we have. We look forward to partnering with DL & Associates for future projects!